We take pride in our work and it shows. See what our customers have to say about us. Very professional work. Ryan the tech knew exactly what was wrong and fixed my Fujitsu unit very expediently. 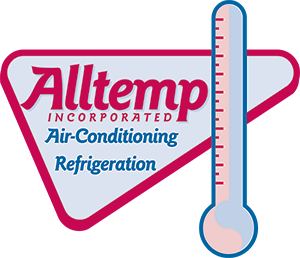 Alltemp made the installation of our new A/C go so smoothly. We were so impressed from beginning to end with the level of professionalism of everyone involved. THESE GUYS ARE AWESOME. I had a problem with my FUJITSU SPLIT AIR CONDITIONING SYSTEM. I called the company who installed it and they wanted to replace all five circuit boards and the EEV valve. They never tested the boards and they were not helpful at all...In fact, we felt they were SCAMMERS. Then we called ALLTEMP. The gal on the phone was very helpful and really seemed to care. I told her the problem we had had with the other company and she immediately put me through to their technician named RYAN. He was friendly, informative and we talked about the problems we were having. Within an hour he was at my door. He fixed my unit and I spent $400 instead of the $1500 the other company wanted to charge. He had testing equipment for the circuit boards and tested each of them and showed me the readings. He was amazing. He was in constant contact wwith the manufacturer as he worked through the issues. The entire experience with RYAN and with ALLTEMP was A+ from the first phone call. I give them FIVE STARS!